After more than a month with the HP Color LaserJet Pro MFP M477 I’ve been able to reflect on what HP has to offer and what their innovations means for the everyday consumer. Everything from the slick design, to the easy to use interface, and even the new laser cartridges shows how HP has innovated ahead of the competition with printers. If there was something that frustrated me the most with other printer brands, it was the efficacy of how the printer used the cartridge. Other laser printers that I’ve used in the past never really wowed me with their efficiency. However, with the HP LaserJet the one cartridge that we received with our review unit has kept going and going and going. For any small to medium business HP’s JetIntelligence will extend your laser cartridge 33% longer and speed up your printing. What pleases me the most about HP’s printer lineup is the ease of use and the innovative insight into what the average person actually needs from a printer. I’m extremely impressed with the ability to have jobs queue in the printer to prevent any waste of unneeded printing or a cluttered paper tray. And as the primary IT administrator in the office the web management interface has to be by far and away the best that I’ve used on a business grade printer. HP’s attempt to reinvent the office shows their dedication to creating a great product without being overly complicated. Not everyone has the time to look through page after page of documentation to setup printer sharing in a domain or to give users the ability to print from the cloud to your printer. Visually the interface for the printer is one of the simplest that I’ve seen, there is no guessing with a certain icon may mean or browsing through menu after menu to find a single setting. The intuitive nature of HP’s business printer lineup gives it the edge when placing a printer in the office space and getting users to use it. I find HP’s Color LaserJet Pro MFP M477 a great fit for any small to medium business who needs a full featured multifunction printer that will get the job done and save you money on laser cartridges. Through my time using the printer I was incredibly impressed with its ability to be simple to manage and ease for someone else to use. While any printer can be jam packed with features it means nothing if they’re not easy to use. 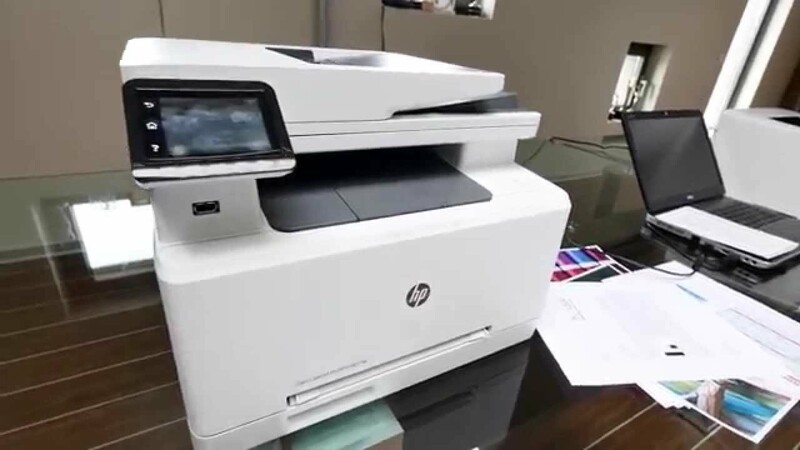 HP’s reinvention of the office printers takes it to the next level with a very affordable, secure, and efficient printer. This post sponsored by HP.